Embrace it. I’m also going to tell her to make the first move. I want to teach her that it’s okay to make the first move, that it’s okay to ask and to say listen, I want a chance at being in this play…put me in or give me this first opportunity. I literally made the first move in my tennis career. My dad said I was too young and so small and I wasn’t ready but I knew I was ready and I made that first move. I want my daughter to do the same. She continued with, We’re taught as a society that we, women, have to wait and be second but that’s not true. We can be first. I love being first, I only like being first. She also talked about making the first move at being friends. Serena says, “It’s okay to go up to a person and say, hey, lets’ be friends or in a business setting to say I want an opportunity to interview for this job. Instead of waiting for things to come to you, it’s important to take that opportunity and make that first move.” I agree 100%. Being proactive in life is a good thing. Making the first move certainly paid off for Serena not only in her tennis career but also in love. She met her now husband Alexis Ohanian by speaking to him first. It was Serena who invited him to join her team for dinner at their initial meeting when they were guests at the same hotel. How do you feel about a woman making the first move in love? I’m all for it. What comes to mind when I think about it is a woman who exudes a friendly spirit. Proverbs 18:24 says, “A man that has friends must show himself friendly.” A friendly spirit displays open body language. It sends a message that says I like people and I’m pleasant to be around. Love it! Now let me be clear; when I say I’m all for a woman making the first move in love, I mean simple actions like saying hello. Giving a genuine compliment. A simple smile. Talking to strangers and even inviting him out to join your group of friends like Serena did and that’s it. Don’t ask him on a date and for the love of God and the sake of your dignity do not ever make the first move and propose. 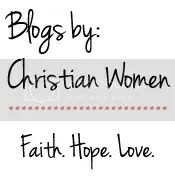 The old fashioned, traditional Christian woman in me still believes men pursue women. Guess what? He can’t pursue you if he doesn’t know you’re breathing. What say you? Is it okay for women to make the first move in romantic love? How does making the first move look to you? What does showing yourself friendly mean to you and how does it look? You are my kind of woman. Speaking my truth even if it’s not in the right sequence is who I am and what I do. Blessings to you and your hubby. I did make the first move in our relationship… but I’ve regreted it for years. If he had initiated things I believe our romantic life would be different. I don’t know what your first move was, however, regret is why I was very specific in how a first move looks in love for women. The relationship needs to be his idea. He needs to pursue you, however, I see nothing wrong with saying hello or doing the things I mentioned in the post. The trick is to make the first move then fall all the way back giving him space to step up and pursue you IF he is interested. I’m sorry making the first move didn’t work out for you. Yvonne, I love your voice and your heart–always a fresh message and always a deep anchor in Scripture! I love this post. Yes, we can be the first one to make a move. We can be bold and compassionate at the same time. I made the first move. While I do believe in waiting for the right time with things, I think sometimes we use it as an excuse to do nothing. God can’t move a parked car, and I also think women are VERY capable. I love this post!